This 16th century South German cabinet valued at £750,000 has been temporarily export barred in hopes that a UK buyer can be found. It was previously in the collection of Newbattle Abbey in Scotland. 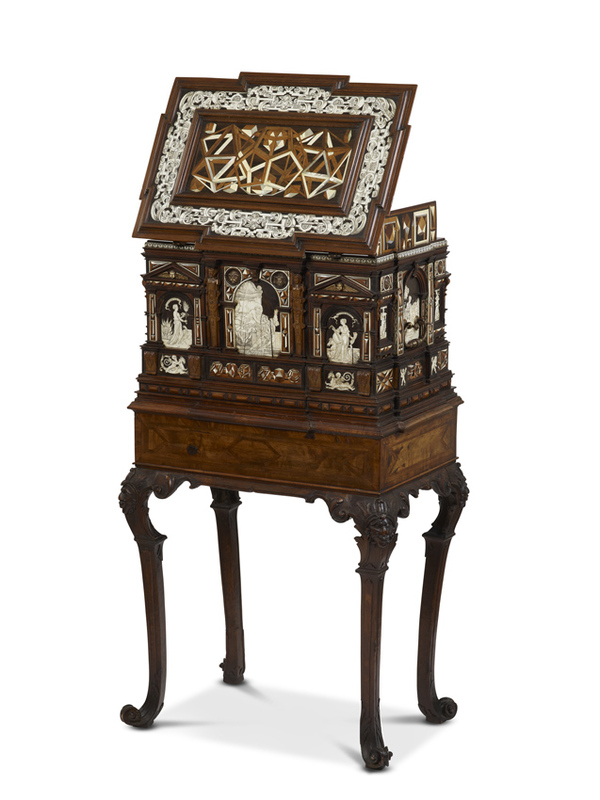 Worth £750,000, the south German cabinet is one of the earliest known pieces of kunstkammer furniture in the UK. It was created in 1565 and features engraved ivory and bone panels as well as gilded metalwork. The decision on the licence application is deferred until July 11 and may be extended until October 11 if a serious intention to raise funds to purchase it at the recommended price is made. The casket has been in the country since at least 1730 when its walnut cabriole-legged support was made for it. It was offered on the stand of Kunstkammer Georg Laue last year at the London fair Frieze Masters. Kunstkammeren, or cabinets of curiosities, first emerged in the 16th century to showcase precious, rare and exotic objects to display the owner’s status and scholarship. This example would have been designed as a repository of precious small works.